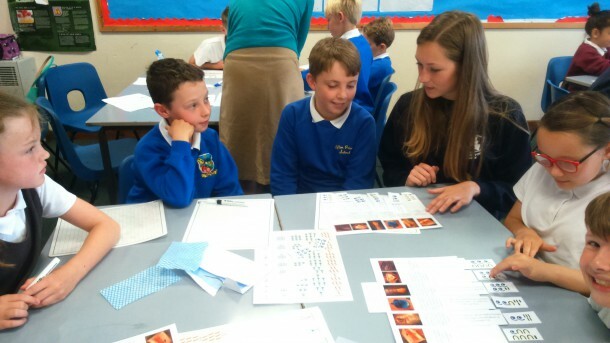 On the 13th of June, 35 pupils from local primary schools took part in Maths Enrichment Day at Launceston College. The key idea for this day was to explore the history of mathematics using challenging and thought-provoking activities. Pupils, their parents and teachers expressed their gratitude to our fantastic Year 9 students Amelia Neil, Sophie Gurr, Abi Kendall, Clare Barriball and Flick Jeffery for making everybody feel so welcome at Launceston College and making all mathematical activities enjoyable and fun.